2 Seacrest Beach Vacation Rentals. Seacrest Beach, Florida is a quiet beach destination that features a wide array of rental villas, condo rentals and vacation homes. This small community is located on the Florida Gulf Coast between Destin and Panama City and is the ultimate destination to enjoy a relaxing vacation. You have 2 rental properties to view; 2 are premium owners. This rental boasts: 1 bedroom, 1 bath, is a Single Family Home located Resort Home! This rental boasts: 3 bedrooms, 2 baths, is a Condo located Beachfront! Since the crowds are smaller at Seacrest Beach compared to other destination in Florida, it will allow you to really enjoy the sunshine on the white sandy beaches, along the gulf ocean water. You can spend the day sunbathing, swimming, snorkeling, parasailing, deep sea fishing, along with several other action packed activities. A big hit in the area is to take a glass bottom boat ride from one of the local marinas, it will feel like your walking on water! Other popular activities at Seacrest Beach include trips to the variety of amusement parks, zoos, museums and local aquariums. This will provide a great time for the whole family. You can also enjoy the day shopping, while other members of the family are playing a round of golf. The dining at Seacrest Beach is fantastic, so even though most of your vacation rentals features a fully applianced kitchen, make sure you treat yourself to some of that great food. That is one reason to go on vacation, to relax! There are some local hot spots you will want to check out while staying in your Seacrest Beach Vacation Rental. They include Camp Creek Lake, which is the local golf club with a beautiful challenging couse, Grayton Beach State Park, Topsail Hill Preserve, Ponce De Leon Springs, along with Falling Waters. If you are looking for a quiet beach destination in Florida, yet has plenty to do, Seacrest Beach is a fantastic place to book your next vacation rental. This little community has everything you could want in a Florida Vacation without the large crowds that you may want to avoid. 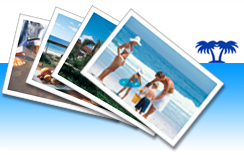 You can find a great selection of Vacation Rentals by Owner right here at ivacationonline.com and book your next trip online using ourvacation rental management software.